“The world of the Gods is made manifest in spirituality and in sexuality. The celestial ones appear in spirituality, the earthly in sexuality. “Spirituality conceives and embraces. It is womanlike and therefore we call it MATER COELESTIS, the celestial mother. Sexuality engenders and creates. It is manlike, and therefore we call it PHALLOS, the earthly father. The sexuality of man is more earthly, that of woman is more spiritual. The spirituality of man is more heavenly, it moves toward the greater. “The spirituality of woman is more earthly, it moves toward the smaller. “Mendacious and devilish is the spirituality of man, and it moves toward the smaller. Each shall go to its own place. “Man and woman become devils to each other if they do not separate their spiritual ways, for the essence of creation is differentiation. “The sexuality of man goes toward the earthly, the sexuality of woman goes toward the spiritual. Man and woman become devils to each other if they do not distinguish their sexuality. “Man shall know the smaller, woman the greater. “Man shall differentiate himself both from spirituality and sexuality. He shall call sexuality Phallos, and set him between himself and earth. For the mother and the Phallos are superhuman daimons that reveal the world of the Gods. If you do not differentiate yourselves from sexuality and from spirituality, and do not regard them as an essence both above and beyond you, you are delivered over to them as qualities of the Pleroma. Spirituality and sexuality are not your qualities, not things you possess and encompass. Rather, they possess and encompass you, since they are powerful daimons, manifestations of the Gods, and hence reach beyond you, existing in themselves. No man has a spirituality unto himself or a sexuality unto himself Instead, he stands under the law of spirituality and of sexuality. Therefore no one escapes these daimons. You shall look upon them as daimons, and as a common task and danger, a common burden that life has laid upon you. Thus life, too, is for you a common task and danger, as are the Gods, and first and foremost terrible Abraxas. “Man is weak, and community is therefore indispensable. If your community is not under the sign of the mother, it is under the sign of the Phallos. Absence of community is suffering and sickness. Community in everything is dismemberment and dissolution. “Differentiation leads to singleness. Singleness is opposed to community. But because of man’s weakness with regard to the Gods and daimons and their invincible law, community is necessary, not for man’s sake but because of the Gods. The Gods drive you to community. “In the community every man shall submit to others, so that the community be maintained, for you need it. “In singleness every man shall place himself above the other, so that every man may come to himself and avoid slavery. ”Abstention shall hold good in community, extravagance in singleness. Community is depth, singleness is height. Right measure in community purifies and preserves. Right measure in singleness purifies and increases. 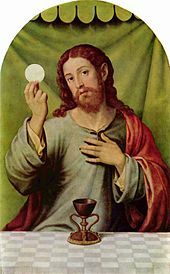 When Philemon had finished, the dead remained silent and did not move, but looked at Philemon with expectation. 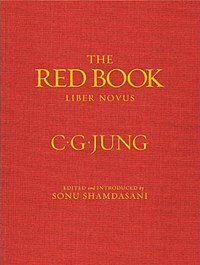 ~Carl Jung, Red Book, Scrutinies, Pages 352-353. Previous Previous post: Carl Jung: First of all, best thanks for your beautiful essay in Corona. Next Next post: When death confronts us…..